Amazon has refreshed its Kindle Fire tablet lineup with two new models sporting upgraded specs, higher resolution displays, slimmer hardware and a "Mayday" button that gets you free tech support 24x7. 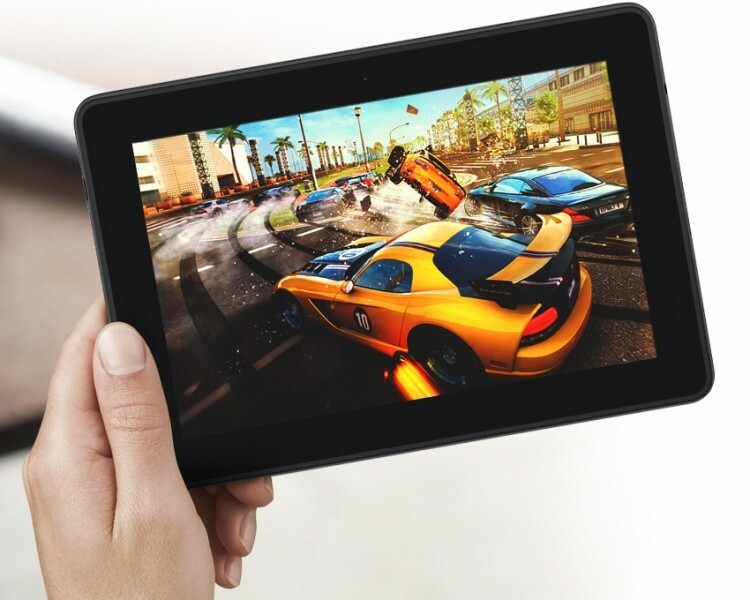 The new Kindle Fire HDX tablets consist of a 7-inch 1920×1200 ($229) and a 8.9-inch 2560×1600 ($379) model. It's no coincidence the smaller unit's pricing matches Google's recently revamped and very popular Nexus 7, however there appears to be many more differentiating features on Amazon's latest tablets that almost makes us forget how generic the original Kindle Fire was when it was launched two years ago. Both Fire HDX tablets are powered by a Snapdragon 800 processor running at 2.2 GHz. Amazon claims a 3x increase in performance over last year's models. The high-res screens are touting interesting features like 100% sRGB color accuracy, dynamic image contrast and improved brightness for outdoor use. The chassis are thinner than before, while both models are about 30% lighter. Other highlight features include hardware and software-encryption for enterprise use, dual stereo speakers with Dolby Digital Plus, an 8MP rear-facing camera on the 8.9" model, and the option for 4G LTE wireless on either AT&T or Verizon's network. In spite of the upgraded specs, both units are rated for 11 hours of battery life or up to 17 hours of reading. "With the Mayday button, our goal is to revolutionize tech support," said Jeff Bezos, Amazon.com Founder and CEO. "With a single tap, an Amazon expert will appear on your Fire HDX and can co-pilot you through any feature by drawing on your screen, walking you through how to do something yourself, or doing it for you—whatever works best. Mayday is available 24x7, 365 days a year, and it's free. Last year's Kindle HD will remain on offer for $139, receiving a speed bump on the processing department and updated software. Driving all new Kindles is Fire OS 3.0, a fork from Android 4.2, along with updated email, calendar, and Silk browser software. As usual, Kindles get a narrower, stricter access to apps via Amazon's app store only, as well as direct access to Amazon's streaming services, which is how the company started working on their own tablets in the first place. The updated OS will ship next November 7th along with the Kindle HDX tablets, however it remains unclear if older models will also receive the full update.